In 2014, AKDO launched what would later become their all time bestselling collection. Almost three years later the Allure Collection has found its way into both editorial pages and high profile designer show houses alike. 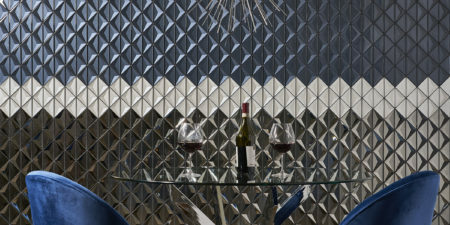 The inundation of metallic details and geometric shapes in fashion and interior design are what initially inspired the Allure Collection, which consists of mosaics, borders and a unique mosaic “rug”. After such a remarkable reception and widespread success, it was only natural that the next step be to expand the collection. So, while staying true to the original multifaceted and elegant nature of Allure, the latest additions each bring unique enhancements to some of the existing patterns in the collection. 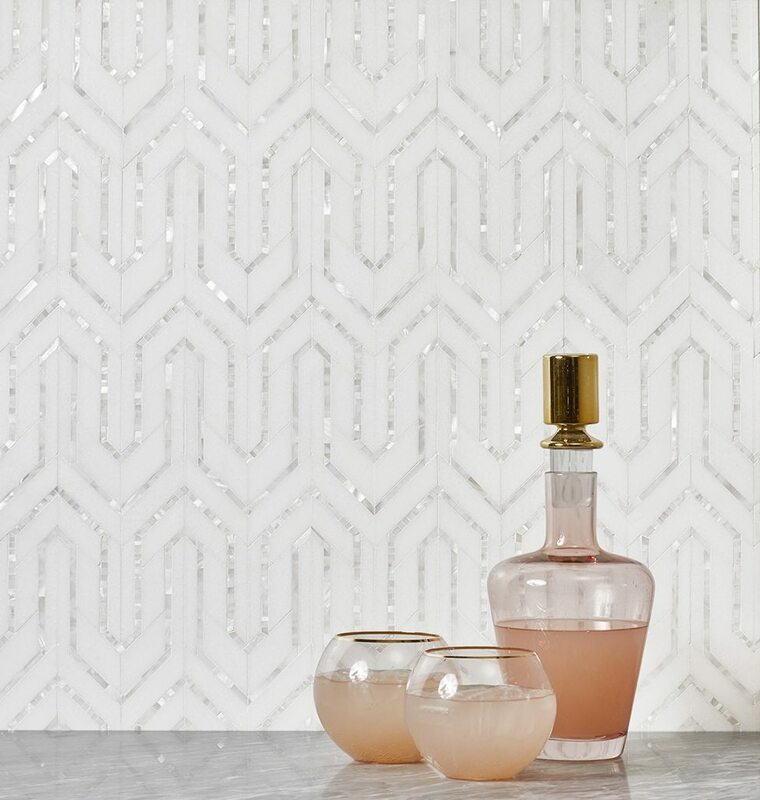 These patterns include Radiance, which utilizes a tailored stripe of micro mosaics and an elongated hexagon shape to create the illusion of added space. 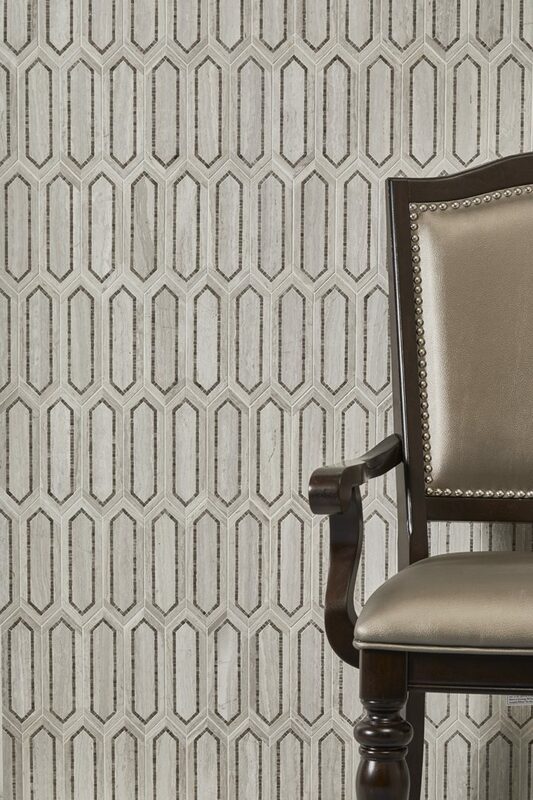 Additionally, Charisma’s pattern is comprised of nesting hexagons that are bordered by solid lines and micro mosaics, resulting in a bold geometric pattern beloved by the design world. And, finally, the award-winning Allure mosaic rug pattern, which was inspired by a historic design found in fine rugs, and was even an Honoree in the 2014 Interior Design Magazine’s Best of Year Awards. 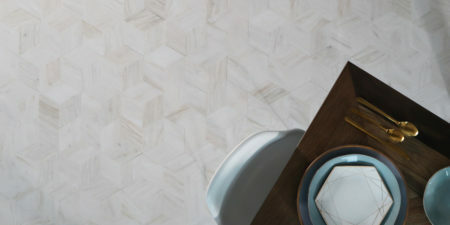 Above, the two new linear stone colorways, Ash Gray and Cream Taupe, add a unique twist to geometric patterns; the striated veining creates a more dynamic, modern look. 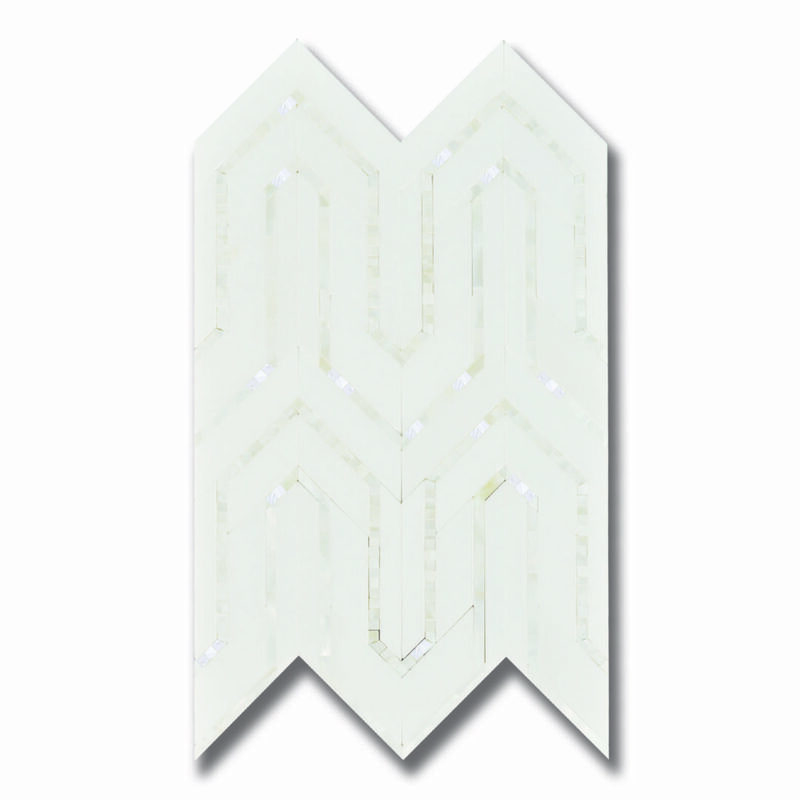 These mosaics are sure to add style and individuality to any space. The Allure mosaic rug is also introduced in two new colorways, including Thassos, a pure sugary white, and Carrera Bella, a dreamy white stone and pale gray combination. 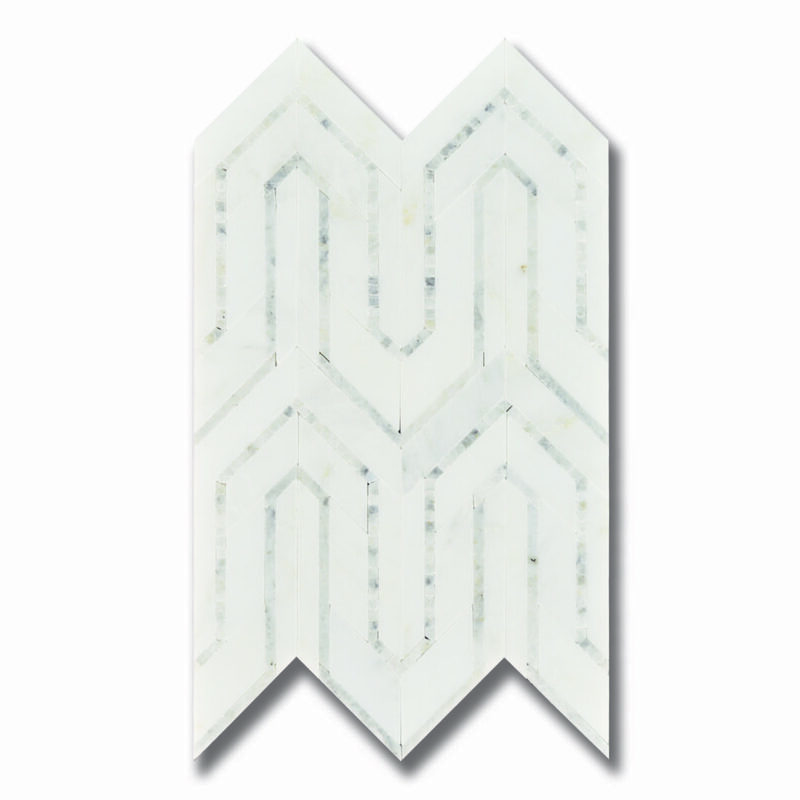 Seen above, Thassos marble and beautiful hand-cut mother of pearl pieces give the Allure Rug a newfound sense of feminine glamour. 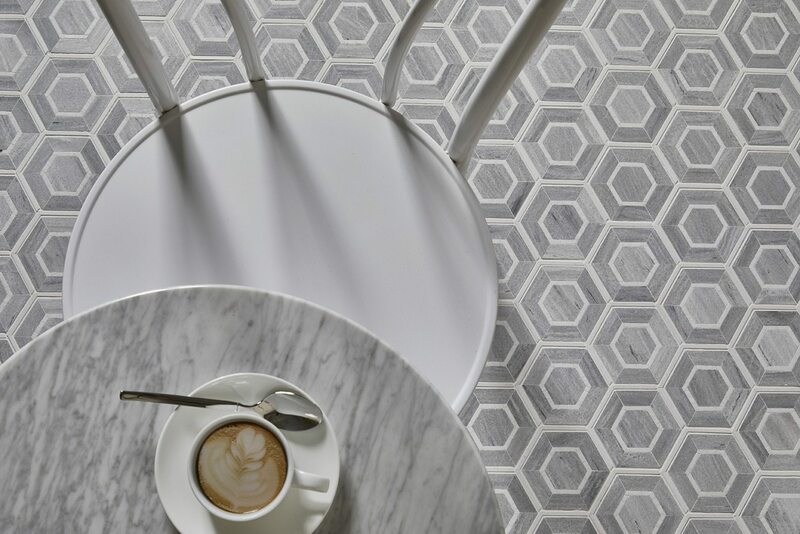 These new additions to the Allure Collection allow for more design possibilities than ever before and create sophisticated, enduring designs whether used for eye-catching backsplashes, focal walls, or floor details. How will you use this in your spaces?